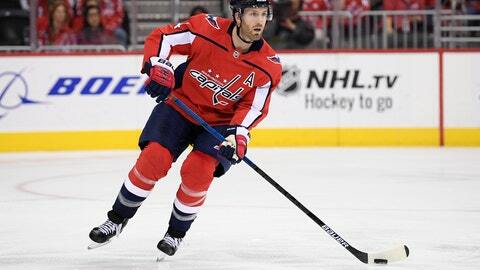 ARLINGTON, Va. (AP) — Veteran Washington Capitals defenseman Brooks Orpik has undergone arthroscopic surgery on his right knee and is expected to miss four to six weeks. The team announced the surgery and time frame Tuesday. Orpik has missed the past nine games. He has a goal and an assist in 10 games this season. He hasn’t played since Oct. 27 and was placed on long-term injured reserve on Nov. 9. After helping the Capitals win the Stanley Cup last season, the 38-year-old was traded to Colorado, bought out and returned to Washington. He signed a one-year deal worth $1 million with a $500,000 bonus for playing 41 games, which is now in jeopardy because of the injury. Orpik is in his 16th NHL season. He is eight games away from reaching 1,000 for his career.